100% Authentic! 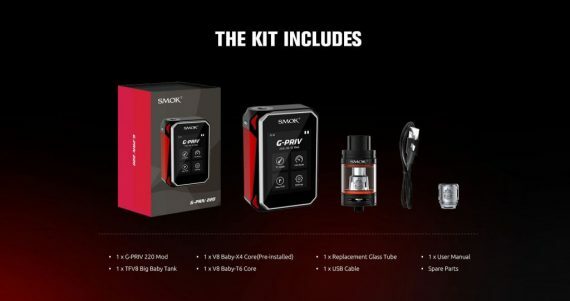 The newest addition to the high-wattage kit series from SMOK is the G-Priv 220w KIT. The G-PRIV kit is another impressive kit from SmokTech that might possibly be the perfect vaping unit for beginners and experts alike! The G-Priv gives you 220 Watts of Power and pinpoint control over your vape experience. 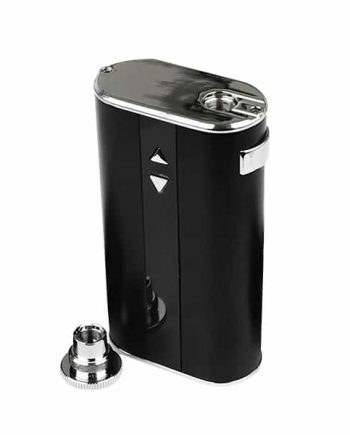 This dual 18650 mod has an integrated double battery indicator, is surprisingly comfortable in the hand, and has Smok’s signature Triangular fire bar that feels solid and clicky everytime. The G-Priv gives you a whopping amount of power, Variable Wattage Modes and a host of Temperature Control Modes that allow you to find your vaping “sweet spot” no matter what type of coil. 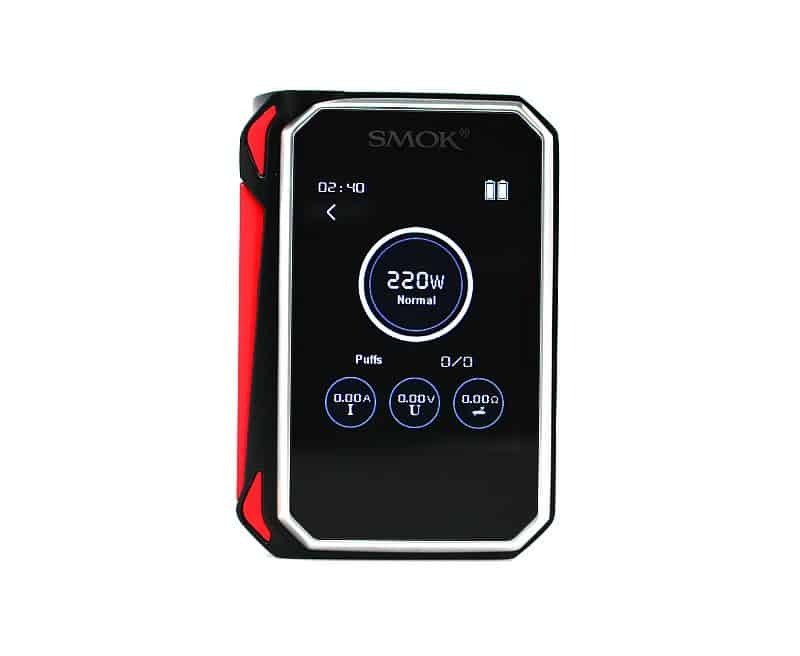 Plus, with its gorgeous and impressively responsive 2.4 inch OLED Touch screen showing you accurate, detailed real-time information and data, you are always in-the-know about your vape. The Touch Screen on the Smok G-Priv isn’t just a pretty little gimmick however, it is chock-full of information and both is Scratch and Shatter-Resistant. Getting used to the Touch Screen is extremely easy, with its intuitive, and easy to navigate menu system. The Smok G-Priv also comes with a Protective Silicon Sleeve, adding an extra layer of protection. USB Cable included for Firmware Updates. Being a FULL STARTER KIT, the SMOK G-Priv KIT comes with the famous TFV8 Big Baby Beast Tank (5ml capacity), which has quickly become legendary for its outstanding airflow and massive cloud production. 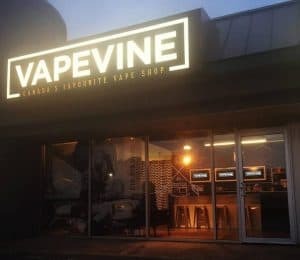 The TFV8 Big Baby Beast uses a shortened TFV8 Cloud Beast chassis, combined with the Baby Beast Coil platform, giving you a tank that is sure to impress for both Flavour and Cloud Production alike. 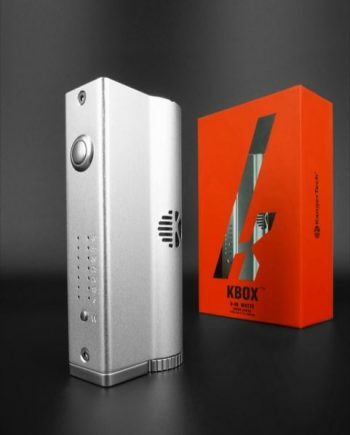 The Big Baby Beast comes with a V8 Baby – X4 core (30-70w) pre-installed, and the higher wattage V8 Baby – T6 core (50-130w), and the V8-RBA Head also included. 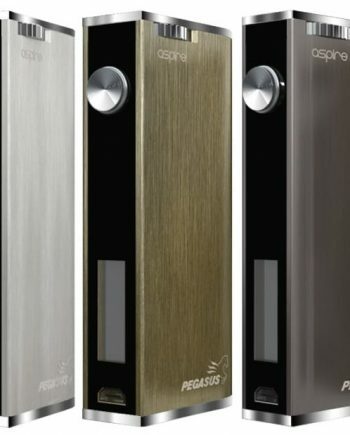 The TFV8 Big Baby Beast sits flush on the G-Priv Mod, and the 5ml Capacity almost doubles the capacity of the Original Baby Beast. The Big Baby Beast leaves little to be desired, giving you a Gorgeous High-Wattage Tank that produces dense, silky clouds, with a short chimney, responsible for the seriously impressive flavour production. I just received my Smok G-Priv 220w gold looks an works beautifully this is a solid product I couldn’t be happier and only took 5 days to be delivered awesome job vapevine you just got yourselfs a new costomer 🙂 thanks!